Remember the Christmas quilt top? It’s back from being quilted in Texas! The lovely Stephanie from Late Night Quilter has been building her long arming business and offered to quilt it for me. 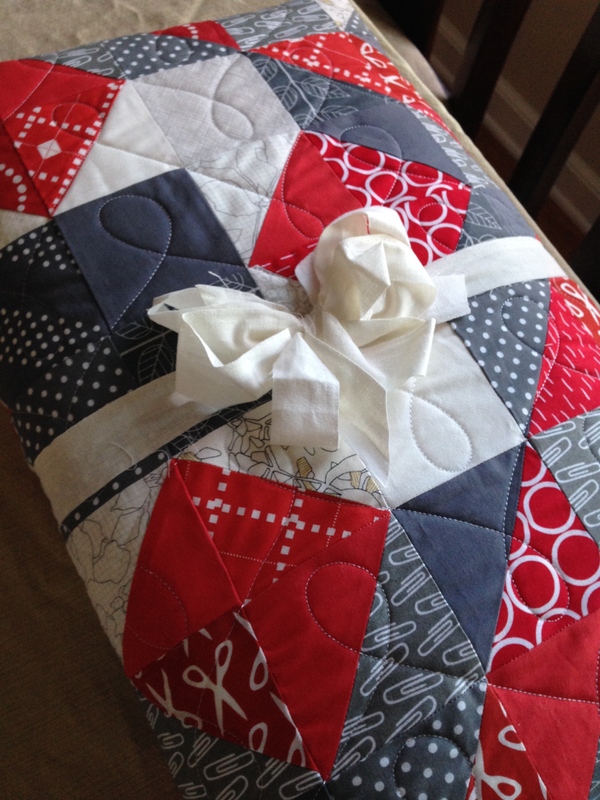 I jumped at the chance– I’m notoriously slow at making things for myself, and though I love the quilting process, this quilt was the perfect one to send away. Look how gorgeous it looked, even before I unwrapped it. I was so excited to see the whole thing, but first I took a million pictures of my perfect package. Stephanie and I worked together to figure out how to quilt it. 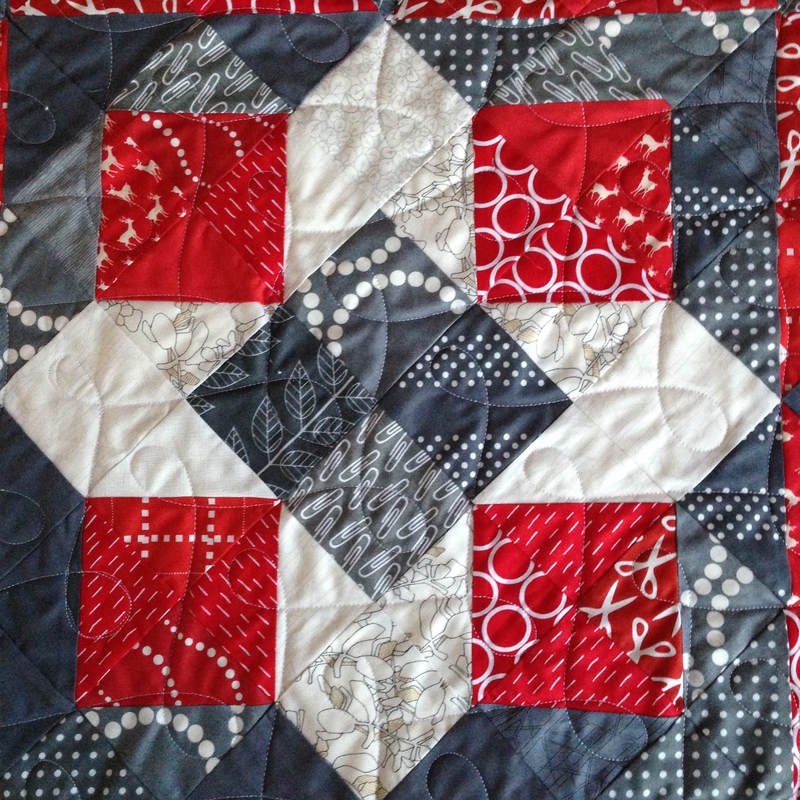 It was my first time using a long-arm quilter for one of my own designs, and I loved how she listened to my design input and overall vision for the quilt. I used two of my go-to design keywords, simple and elegant. Though she had some beautiful Christmas-themed designs, I wanted some all-over nested loops to prevent the quilt from being too busy. 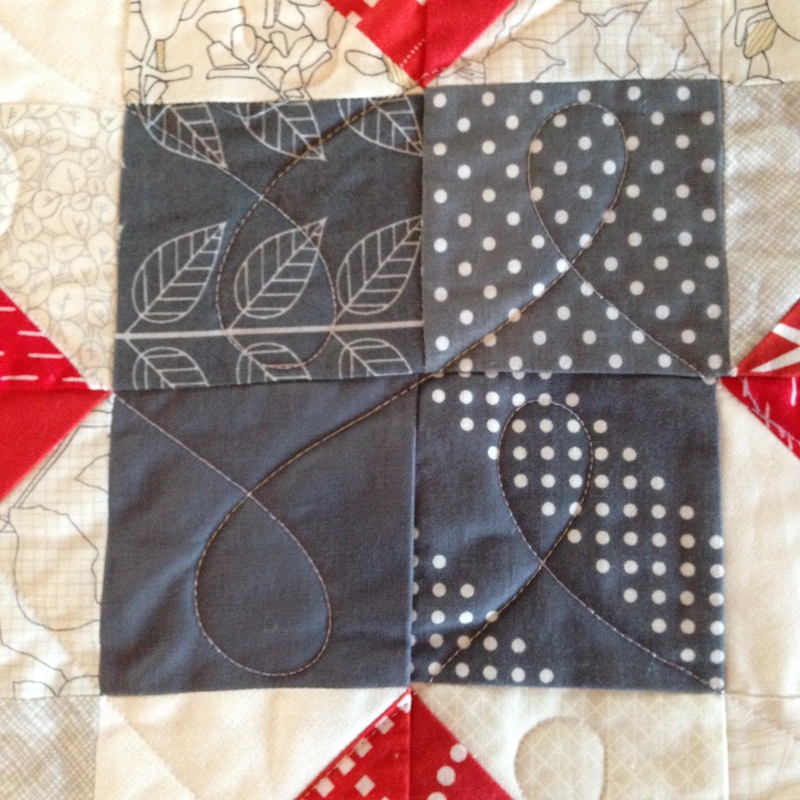 I’ve also been trying to keep the quilt Christmas-y but not overtly so, and this approach was consistent with that. 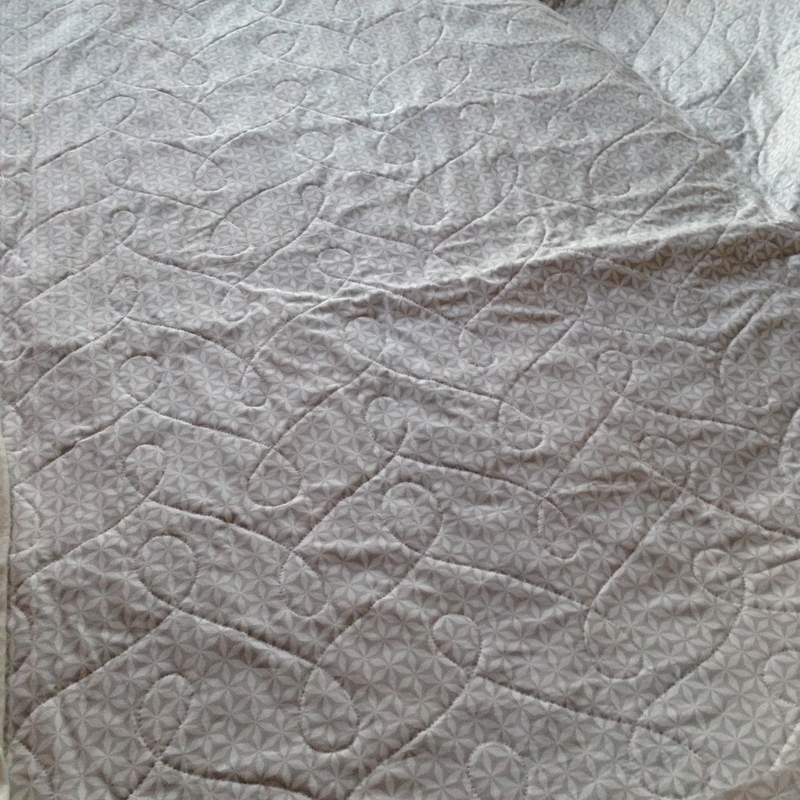 And here is the quilting from the back, (which, like the top, is snowflake-inspired). So pretty. I have a special offer for you! 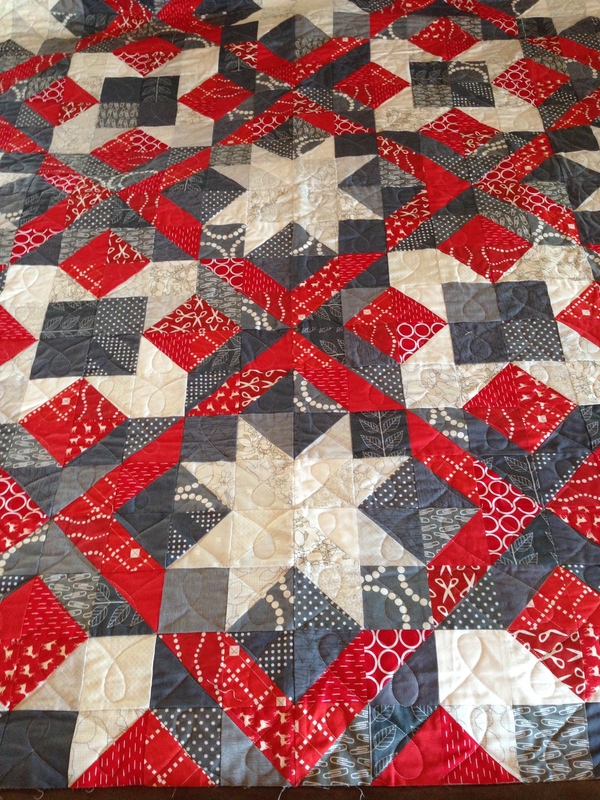 aStephanie is offering her long-arm quilting service to readers of my blog at 10% off, plus free Quilter’s Dream batting! Just mention melintheattic when you email her at latenightquilter at gmail.com. I’ll update this post again when the offer has ended. The timing for this is perfect. I can’t wait to get the quilt bound and washed and on the couch as we decorate the house for Christmas this weekend. I’ll be sure to show how it looks with the rest of our decorations. Do you have a Christmas quilt? 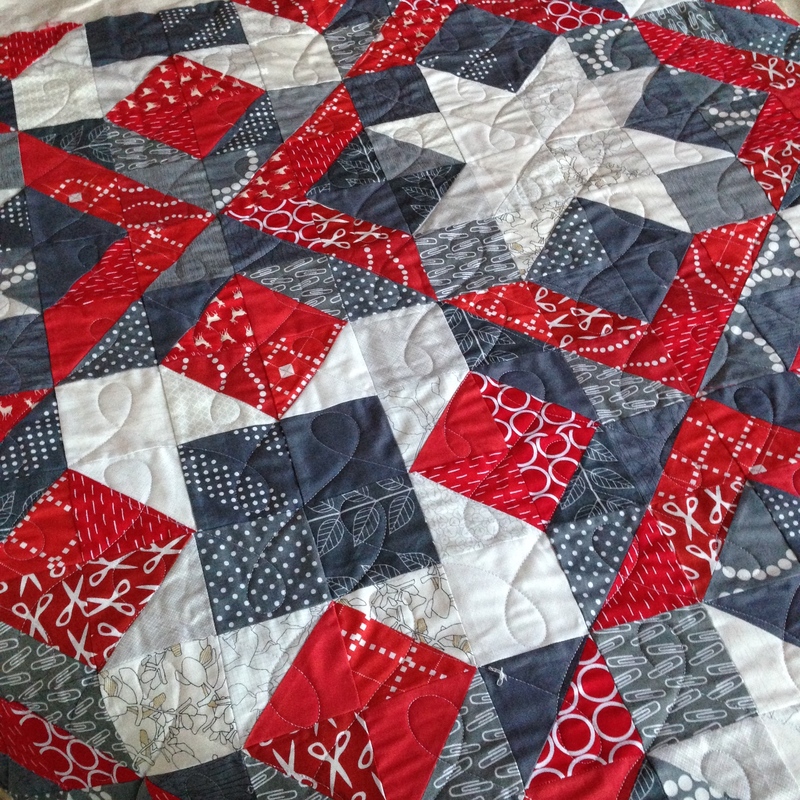 FULL DISCLOSURE: I received free long-arm quilting on this quilt in exchange for mention on the blog, but all thoughts, words, and opinions are fully mine. The description Simple and Elegant is exactly right. You have a beautiful quilt there which is perfect for the season. Looks great! I bet it is so soft and cuddly! I’m not a fan of Christmas for several reasons but quilts like this are NOT one of them. This is so perfect on so many levels. The fabrics, the colours, the design and for sure the quilting. I hope that your family gets plenty of use out of it this season. It is a beautiful Christmas themed quilt. I love that it is not two christmas-y and could be used for something else.